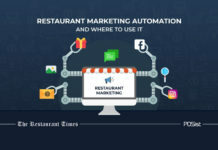 At one point or the other everyone has thought of opening a burger joint, or a hot dog business or some other fast running restaurant business in the format of a Quick Service Restaurant (QSR). The QSR Industry is one of the fastest growing industries of the world. 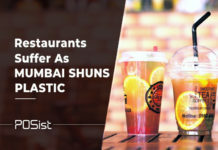 Even in India with take-out culture and a boom in the number of working professionals and millennials, the fast food industry has seen a rise like never before. 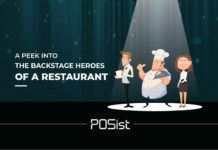 Thus, there are also a huge number of entrants in the industry and an even greater number of aspirants, which makes it the most competitive restaurant format. The QSR Model is predominantly different from the restaurant model and a lot is still unknown to common observers. 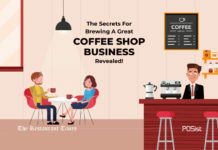 In this article, we bring you the inside scoop on how to open a quick service restaurant & what it takes to make it a success. From deciding the location, managing operations to restaurant expansion, we cover it all. 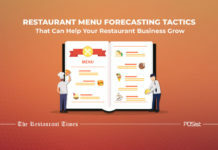 While getting started in the restaurant industry the most important thing is to understand is that a lot of food businesses rely on the location. In a QSR, the location is of prime importance. 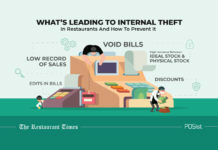 This is because buying in a typical QSR happens not because of the restaurant itself but because the outlet was placed conveniently enough for the customers to buy impulsively. The ideal location, thus, is a place of high footfall area of your target audiences like marketplaces, university campuses or shopping malls. Ironically, finding the correct location is also the prime challenge in starting a quick service restaurant. The rentals of high footfall areas are pretty steep, making it difficult to survive at least until the QSR breaks even. The biggest asset in any organization is its employees. Your employees are the face of your restaurant and it is no different for a quick service restaurant. But staff in a QSR bears more responsibility than the staff in an ordinary restaurant. This is so because in a QSR, there are a hundred things happening simultaneously and while there is no wait staff, there is also usually no difference between kitchen staff and counter staff. The process of training the staff is different in a QSR as compared to the other restaurant formats. Here comes the fact that there is no actual cooking that happens in a QSR kitchen, only assembling and or the final level preparation of food. Consistency in assembling and preparing the final product ultimately comes from consistency in training. One thing that you must watch out for is the attrition rate. This industry is infamous for its high attrition rate. 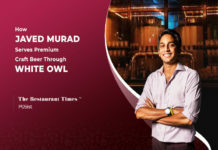 Someone in the QSR industry can switch jobs for as less as 500 rupees. The industry is very welcoming to newcomers & requires low initial investment. This increase in competition is something that the store level employees can easily cash out on since they understand that the opportunity for them is everywhere. If you add to this poor training and management, no loyalty for the company is created. The staff feels devalued and so does not hesitate while leaving. To control staff attrition at your outlet, talk to them on a regular basis. Make them feel like they are a stakeholder at the company. Let them feel valued and that they belong somewhere. This will lessen the chances of your staff leaving you. Here are some useful tips for keeping your staff happy and motivated, that will, in turn, control the staff attrition in restaurants. 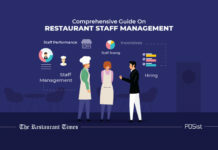 From a plethora of operations that need to be managed in a QSR ranging from staffing to marketing, there are three major operations that need to be taken care of for a successful QSR business. Product Standardization or rather ‘Taste Standardization’ is achieved from a mixture of staff training and controlling recipe units. Plan your menu so that your base ingredients are the same. This is so because in the QSR business only the assembling happens in the kitchen, which means that 90% of the cooking and preparation happens at the Central or Base Kitchen. To explain it with an example, here is how your local burger QSR does it: all the sauces and premixes for the burgers are what give each burger their unique taste. Apart from this, it is the patty in the burgers and extras like fries etc which define these tastes. The sauces, patties and fries are all mass produced in the unit. The patties and fries are semi-cooked so they are just fried before being served while the premixes and sauces are bottled up and all this is sent to different outlets weekly. The other things like buns and vegetables are ordered fresh but are always of the same kind everywhere. Vegetables are the only thing that can create a taste difference but since they are used in lesser quantities and the defining taste comes from the mass-produced ingredients, the final product tastes the same. Here is how you can maintain consistency in your outlets better. Needless to say, this product/taste standardization goes hand in hand with Staff Training which further relates it to Front of the House and Back of the House Coordination. The staff in a quick service restaurant is trained to handle every position possible. Everyone is one unit from the person assembling to the person cashing the order. There is no specialization of chefs or waiters which primarily means everyone understands each other, the requirement of the work and so coordination just flows as they have exactly the experience of what each member of the team requires and is going through. This means that virtually there is no front of the house or back of the house because no one is a specialist and so there is no gap in operations. Given that consistency is of such great importance in a quick service restaurant you might be inclined to go for a huge chained supplier but think again. While finalizing the supplier for a QSR it is better to judge him on his calibre to meet your goals as opposed to the size of the outlet. When the QSR is at a single city level, a local supplier is not just better in terms of resources, product knowledge and how important you are to him but is also economical. 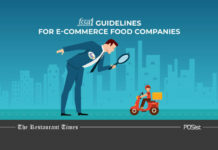 The deciding factor for your supplier in the QSR business should be how well you can dictate your terms and how healthy your understanding is for your operations to run smoothly. A chained supplier may have the resources to give you consistent supplies but he also has the resources to not keep you as a priority if you are a small customer and that gives you little scope for a bargain and product selection. To put it simply, being a huge buyer of a small firm is at times better than being the small buyer of a big firm. As your QSR grows let your supplier grow with you. You will achieve not only a constant support for your expansions on but in the long run a much more paying relationship with your supplier. Here are the things that you should consider before finalising your restaurant supplier. The quick service restaurant or the fast food business works on the principle of Impulse Buying. Impulse buying as the name suggests is buying not out of need or desire but out of an impulse. This impulse can be the product of craving, need, choice or any other random emotion that governs the buyer for a temporary period. Now why QSRs work on impulse buying is because they provide simple food at a quick pace for the customer to just eat and go. They offer no experience; just a guarantee of a familiar taste. Apart from this, they offer ready solutions to hunger or cravings by conveniently being where their audience is. It is also necessary to understand that you have a very small window to sell something, or else the customer impulse will die and they will walk out. That is where the role of a menu comes in. Ordinarily, the timeframe in which the menu has to roll customers into buying a high-profit item is 109 seconds. In a QSR this window is cut down further. Thus, menu planners need to ensure that the menu is such that everyone can understand it, the items are well desired and the prices highly suitable. In the case of a QSR, you do not have the luxury to bring and familiarize people with new concepts. Instead, bring in the concepts that are generally acceptable to and needed by the general public. This is also the reason why QSRs usually have overly simple menus. The correct way thus to plan your menu is to research the acceptability of different products. Then based on different products you need to decide what you want to sell and stick to it. Decide the cuisine and then create the menu by researching the products within it based on their acceptability. Another thing that you must remember while creating the menu is that you must keep the menu as simple to produce as possible. Go for dishes with the same base ingredients, a combination of same sauces and the least amount of assembly time. This will enable taste and operations standardization for you. Marketing a Quick Service Restaurant is inherently different from marketing any other restaurant format. For instance, a fine dine restaurant formats is a destination, an experience that people go to and pay for. QSRs work on the premise of impulse buying, so the marketing strategy of a QSR focuses on people, not the product itself. Although quality is important, the marketing strategy itself is based on speed and pricing. 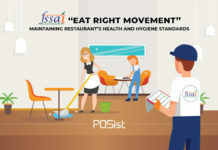 Since the business of the QSR comes from the local audience, localised marketing such as distributing pamphlets and flyers and putting up Display Boards work well. If you rely on Online Orders, then running geo-targeted ads on Facebook is a good idea to reach out to potential customers. Here are some essential marketing strategies that will help you promote your quick service restaurant better. As far as profit margins are concerned, anything above 15% in the total is considered good, especially for a startup. The top line margin starts at 25% but even within this, there are stores that only produce a 9-10% profit margin while others produce more to give a good net result. 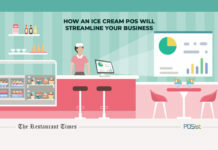 Mostly the consistency and amount of these profits are determined by the location which is what makes it the most important factor in the QSR industry. Related to profit margins are the break-even points. At a single outlet level, break even maybe reached in a period as short as 3-6 months if the outlet is managed well. On the other hand, at the industry level, breaking even can take up to 26 months as well. This difference in breaking even is what creates a source of confusion for most first-timers in the industry who equate store level breaking even to corporate level breaking even and then make decisions which are business wise unsound. Now we come to the final segment, i.e ‘Expanding Your QSR’. Here we will talk about the most talked about and least known about concepts when it comes to expanding a QSR- the growth strategy. More than half QSRs fail because they insist on having outlets in different cities in order to create a brand presence. Though this approach sounds sensible in theory but is actually flawed at its core. When you city hop, you gain a limited presence in different cities and essentially divide your resources while making it difficult for you to manage multiple outlets which are dependent on increasingly variable factors. Instead, we suggest that you focus on a single city and expand within it before changing cities. Rule one city first with 10-15 outlets at least. As a leader, it will be easier for you to dictate your terms and the copy-pasting will be easier with resources at your beck and call. The creating window for your brand before city-hopping is ideally 2 years. Franchising is the most viable option for a quick service restaurant since it allows easy replication of the business model due to standardisations in place. Here is the list of things you need to consider before you start giving out franchises. However, lucrative as it may sound, you should only consider franchising your QSR if your operations are robust. There is a risk of losing out on consistency, brand dilution, and the image name being spoiled. Hence, don’t start with franchising unless you are absolutely sure of the current business model and operations. The Quick Service Restaurant Industry is one of the fastest growing industries right now. With an increase in disposable income of people and more professionals and skilled people moving out of their homes, the industry is gaining momentum for providing easy and cheap alternatives. The wave of change has also already hit the industry and soon outlets and brands focusing on healthy or vegan options may come up as rising players in the market. 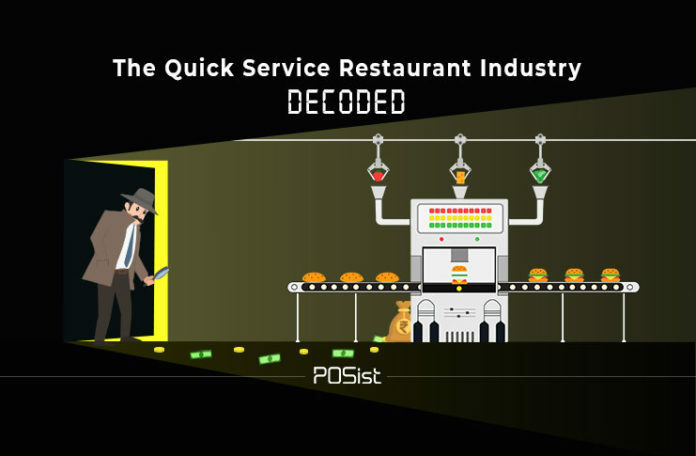 The promise and potential that this industry holds right now are tremendous and with the trends that the world is moving with, this success of the QSR business is here to stay! 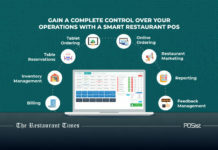 Very helpful, can you tell me in details what are the licenses required to start a QSR business in India.